In the hands of Mixed Breed. Use TB6BZG4 to reference this item. This cat is in a race for one year. This guy is safely in my possession and will be moving as soon as I can find a good cache for him. Had a chance to discover this TB while participating in the CITO at the cemetery where the cache was located. 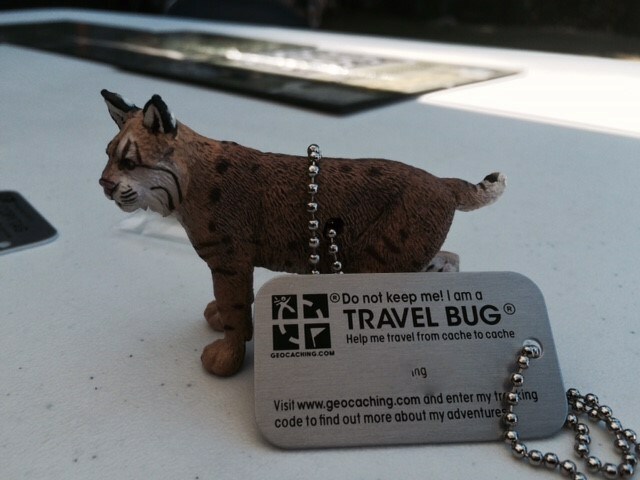 Thanks for sharing and happy travels, EpicGCS3-Lynx. Took it back to log it into cache! Didn't really grab it from CribbageWitch. Got it from a new cache that she probably had not yet logged . We will make our way to another cache ASAP.